I love everyone that tags me and shows me their version of my nail art design. But this particular version caught my heart. Why not, it's one of my favorite nail art designs, anyway! And this is Laura's version of my design! So pretty! I think she was able to achieve the exact design i did! 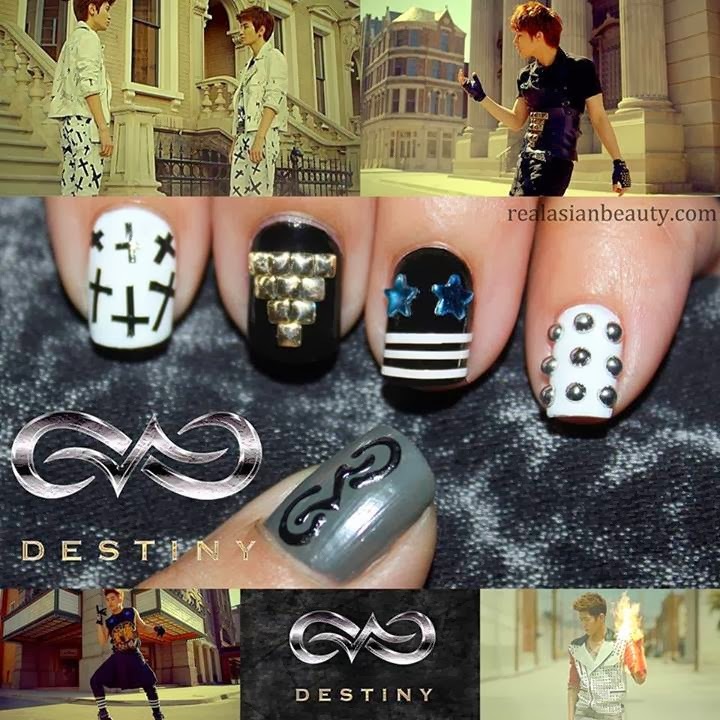 Only, she changed the logo to Infinite's Over The Top logo but still she was able to nail it! I also like that she added an edited photo of the boys and screenshots from the music video! Thanks for trying my design and for tagging me, Laura! 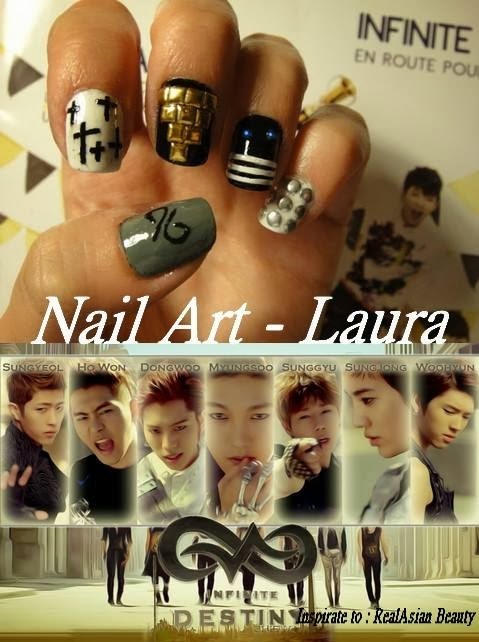 If you want try the nail art as well, here is the video! In line with that, I would like to help the event organizers of One Great Step Manila to promote the concert! 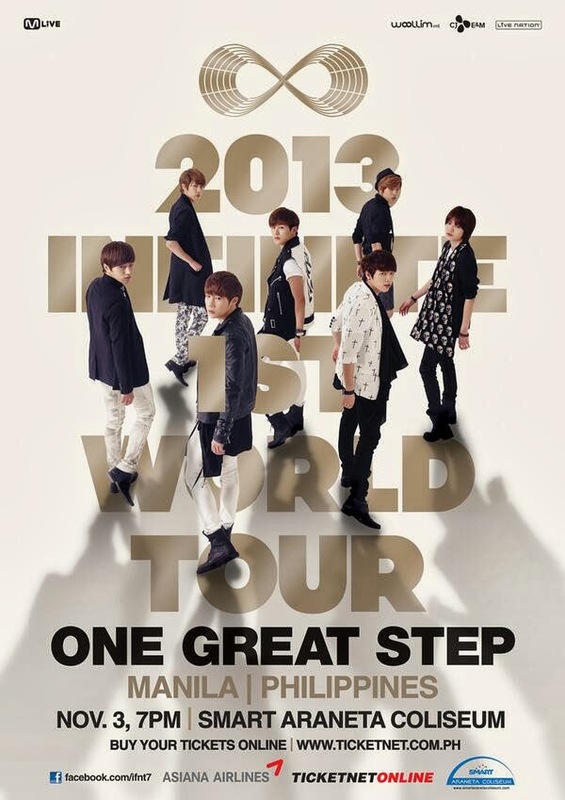 Don't fail to watch this concert! This was one of my wishes this year! I'm so thankful it's finally happening in just a few weeks! Yay! See you all there!